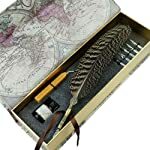 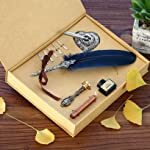 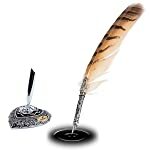 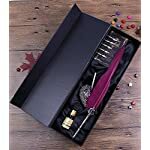 High quality quill pen, delicate and practical, also looks pretty. 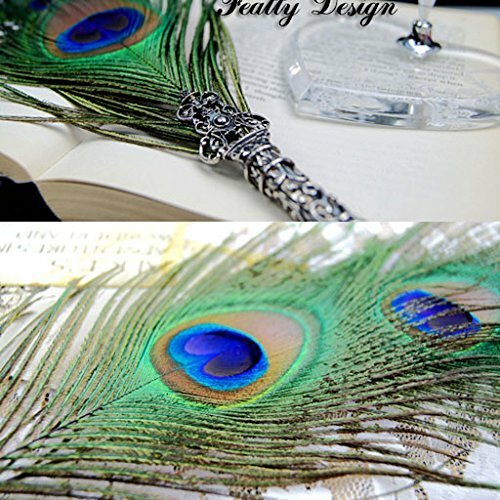 Made of Natural peacock feathers, it is unique. 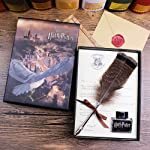 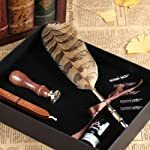 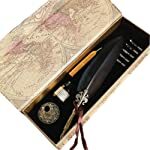 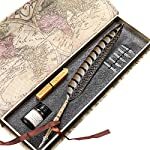 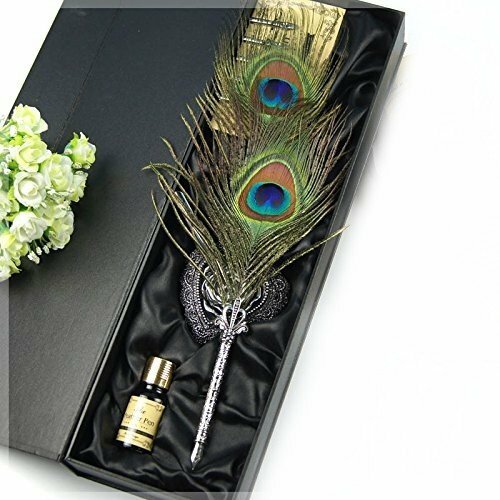 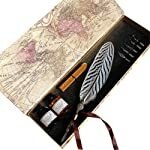 The total length of the pen is about 350mm, it includes a quill pen, a bottle of ink, a pen stand and gift box packing. 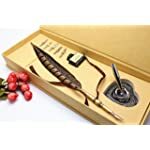 Creative and fantastic gift for all.